What do you mean you don’t want a DJ?! We have the perfect solution for you. 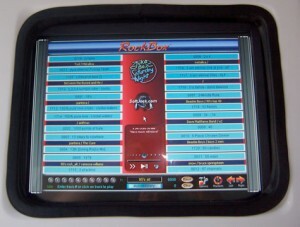 The DJ Jukebox. It comes with several thousand songs, touch screen, only one button to push on/off. Includes 2 speakers & stands, all cords and hours of entertainment. Very simple to use. The songs can be set up to play in the order you picked or it can be set to play the songs you picked in random order. We can set up the music for the theme of your party. 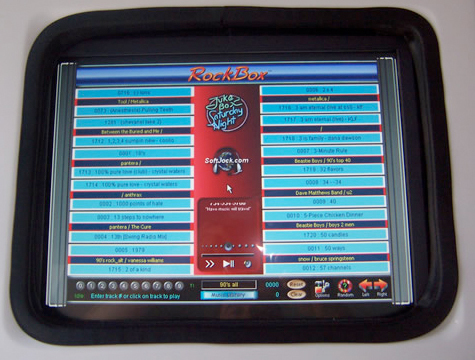 The Jukebox can now do Karaoke! Add $50 and you will get a mixer, 2 cordless microphones, TV and TV stand. “Wow! I don’t have to have a DJ!” Just set it up and walk away. 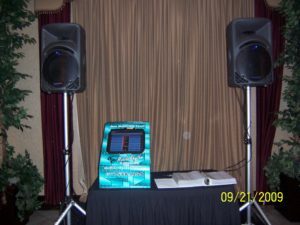 The DJ Jukebox can be rented out on a per day basis. Great for graduation parties, bachelor/ bachloret parties, birthday parties, baby showers, weddings, or any party that you are having at the house. Lots of fun! Easy to use!